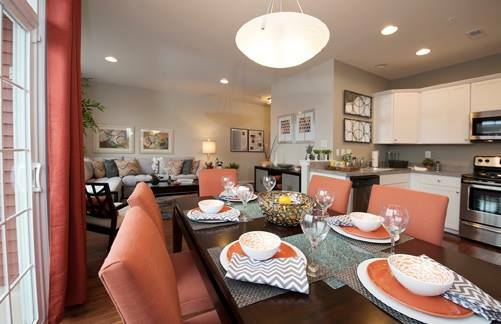 Arbor Knoll is a Trifecta for Progressive New Homes along with Arbor Mews and Arbor Heights. NORRISTOWN, Pa. - Feb. 10, 2019 - PRLog -- Political, civic, and business leaders will officially welcome the new Arbor Knoll townhomes with a ribbon-cutting ceremony at noon on Wednesday, February 13. in the newly opened model home. Progressive New Homes, Builder of the nearby award-winning Arbor and Arbor Mews townhome communities which were successfully completed in 2012 and 2016, respectively, have made it a mission to build quality, affordably-priced new homes so that Norristown will not merely be a place to work, play and dine but also a place to build roots through home ownership. Already 75% of the 34 total homes in the Arbor Knoll community are sold – almost entirely to first time homebuyers. Popular before its official debut, Arbor Knoll homes have one or two car garages with two or three bedrooms, some with single level living attractive to seniors and empty nesters and some affording finished lower levels. The oversized windows and tall ceilings throughout the homes belie the energy efficiency of the homes. The architecture at Arbor Knoll has been carefully designed to blend in seamlessly with the beautiful historic buildings on Upper Dekalb Street. Arbor Knoll has attracted home buyers who see this new community as a significant example of Norristown's "on the move" resurgence. With its superb location and access to public transportation, as well as its thriving arts, business and restaurants Norristown is becoming a popular destination with a younger demographic. While its historic roots are preserved and protected, there is now a renaissance taking place that is a magnet to a diverse group of people seeking a more walkable urban lifestyle that is easily accessible to commuter rail and highways, mall and convenience shopping within a charming historic setting. In short, Norristown is rapidly overcoming the perception of being a town that houses just a courthouse and decaying older buildings. Jayne Musonye, Director of Planning and Municipal Development for the Municipality of Norristown is thrilled that Sarah Peck continues to build innovative townhome communities in Norristown. "Essentially, Progressive New Homes is Norristown's flagship residential developer – building homes that attract a diverse and integrated group of home buyers who recognize the economic resurgence that is now underway" said Musonye. "Sarah Peck's homes sell and they sell quickly" added Musonye. "Her creation of new home ownership opportunities in Norristown has been and continues to be critical to the revitalization of Norristown as a destination place in the Philadelphia region." Sarah Peck, president of Progressive New Homes has made affordably priced home ownership in the close-in suburbs of Philadelphia her company's focus. She recognizes that there is one key staple that secures economic and business development: people want pride of property and the iconic "American Dream." Ms. Peck is enthusiastic about Arbor Knoll and the reception the townhomes have been receiving by buyers and the fact that it has attracted a cross of ages, demographics, income levels, household sizes and professions. Already 43 new homeowners, mostly first-time buyers, now call Norristown home thanks to the Arbor Heights, Arbor Mews and Arbor Knoll communities; another 18 are poised to move in soon. "Buying a home at Arbor Knoll gives homeowners incredible financial incentives for brand new construction due to below-market mortgage financing and cash grants for qualified first-time homebuyers," says Peck. "That makes owning a home at Arbor Knoll less than the cost of rent." A celebration for the public for the newly opened model home will occur the weekend of February 16 and 17 from 11 am to 5 pm. Otherwise the sales office is open daily from 12-6pm except for Tuesday and Wednesday. Arbor Knoll may be reached at (610) 491-0190 or may be visited at www.Arborknoll.net. Bryn Mawr Day, 2015 Promises to be Main Line’s #1 Free Family Fun Day! Talk About A Great Place to Live!